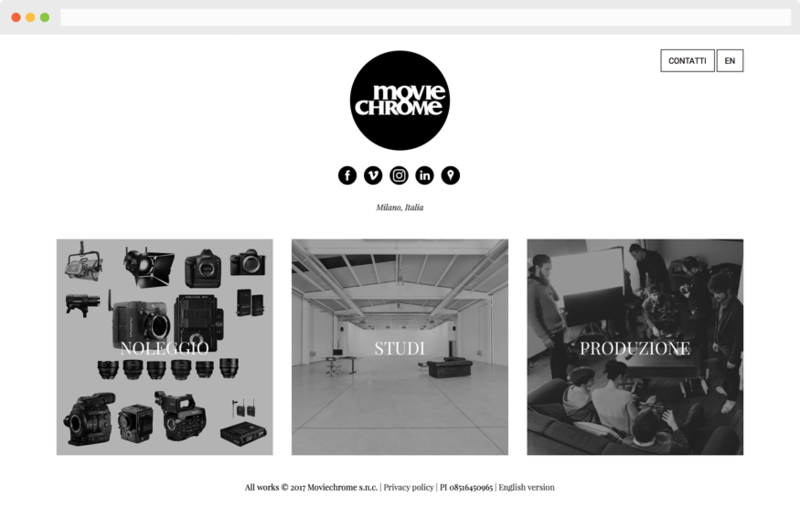 Moviechrome is a video production, equipment rental and studios company based in Milan. For the design of the new website, Moviechrome has chosen to rely again on Burning Flame, which had already had the opportunity to realize the previous version. The website was developed using the new version of our framework and CMS Adminio, which allows the management of the contents through a simple and intuitive control panel. After the publication of the new website, we took care of the planning of a Google AdWords campaign, analyzing competitors and outlining the adverts publication strategy. Posted on 12 December 2018 by Mattia in Point of view.